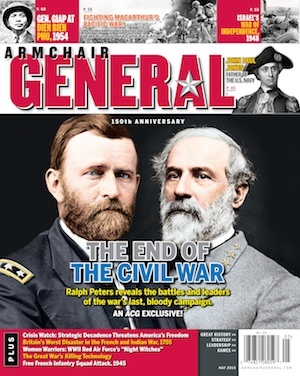 ArmchairGeneral.com went live in late 2003 in support of our very first print magazine issue, which went on sale in February 2004. We started with nothing but an idea – and have built it slowly and steadily over the past few years to what you see today. Our emphasis has always been on building a community of people interested in military history, wargaming, and strategy gaming. While we support the magazine by providing complimentary content, links, and discussions, we also supplement the magazine by providing in-depth game reviews, articles, and interactive debates. Together we have one foot in your local bookstore and the other in cyberspace. The staff members above are working hard every day to make sure your experience with both facets remains positive and interesting. Please, let us know if we can do better!